Ahmed Mohamed parliamentary Finance Committee announced that the government will send a draft law on the federal budget to the House of Representatives during the current week. despite sought by the Iraqi government to throw the ball in the stadiums Turkish and Kurdish on the issue of export of oil from the Kurdistan region through a special tube, the recriminations still persists between the two parties. Editor: AF, RS 12/02/2013 6:54 p.m. The General Secretariat of the Council of Ministers of Iraq, on Monday, said the council will discuss on Tuesday in its regular budget bill for next year. Federal Government predicted Sunday the completion of the federal budget for the year 2014 within the next two weeks. The most controversial point of the draft next year’s budget dues Kurdistan Region of Finance after the federal government sought to reduce the ratio to 10% instead of 17% compensation for financial losses she stopped by the region for the export of oil. Turkish government announced on Thursday it was in talks with the Iraqi government on the proposal provides for opening an account for the Kurdistan Region’s oil revenues, while hinted that talks are continuing to put the proposal into effect. 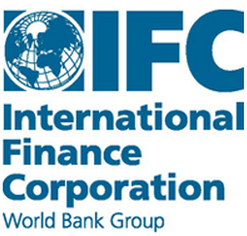 Arbil / News Network Iraq – announced the Kurdistan Regional Government’s intention to the International Finance Corporation (IFC), a member of the World Bank Group, to open an office in the Kurdistan Region. parliamentary Finance Committee asked the federal government to resolve all official books of financial problems with the Kurdistan Regional Government before the assignment of the draft federal budget for 2014 to the House of Representatives. IRBIL, Oct 28 (KUNA) — The 6th International Exhibition for Construction and Environmental Technology, Materials and Equipment for Iraq (Project Iraq 2013) opened at the fairgrounds on Monday, Under aegis of Iraq’s Kurdistan Regional Government. Baghdad (newsletter). She is a member of the Finance Committee, a Deputy from the Kurdistan Alliance//smart Najeeb, Iraqi banks to open branches in the world, saying that such a step would open the field of investment and banking transactions in other States. Committee called on the parliamentary oil and energy to speed up enactment of a law of the Federal Council for Oil and Gas decode the interactions between the ministries of oil and electricity and problems with the provinces and the Kurdistan region, telltale important positive role to be undertaken by the Council in the development of strategic policies for energy. A survey conducted by the Iraqi Ministry of Planning for a significant increase in the proportion of school drop-out, in parallel with recording a marked improvement in the living conditions of citizens, compared with the 2007 indicators. Baghdad (newsletter). He is a member of the Finance Committee, a Deputy from the Kurdistan blocs Coalition//Jimmy is capable, from the continued deterioration of the security situation in the country because it will affect the work of the few foreign companies that operate in the country. Baghdad (newsletter). According to the decision of the Committee on oil and energy, a Deputy from the Kurdistan blocs Coalition//Kassim Mohamed Qassem, political differences in parliamentary blocs have prevented the adoption of a law establishing the Federal Council for the country’s oil policy. Arbil / News Network Iraq – announced the Electoral Commission, on Thursday evening, for recording the highest rate of participation in the special ballot in the Kurdistan region as arrived for more than 93 percent. Baghdad (newsletter). Member of the Finance Committee, a Deputy from the Kurdistan blocs Coalition//Jimmy, to the need to encourage international companies to establish large industries through investment to support local industry and to promote the growth of the national economy.